Teams will only get six "visits" to the mound per a nine inning game, while time between innings and pitcher changes has also been reduced. PEORIA, Ariz. — Yet another plan for quicker baseball games became official on Monday when Major League Baseball released a set of rule changes for the 2018 regular season. The moves are designed to improve pace of play for games. The most noticeable of these changes will be a limit of mound visits in a game. A team will only get six visits per a nine inning game. In the case of extra innings, teams will be given one mound visit per extra inning. (2) Definition of Mound Visit. A manager or coach trip to the mound to meet with the pitcher shall constitute a visit. A player leaving his position to confer with the pitcher, including a pitcher leaving the mound to confer with another player, shall also constitute a mound visit, regardless of where the visit occurs or the length of the visit, except that the following shall not constitute mound visits. MLB consulted with the MLB Players Association and the competition and rules committee to make these changes, which also includes reduced time for inning breaks and pitching changes. From Tony Clark, president of the players association. These changes meant that Manfred and MLB backed off the implementation of a pitch clock this season. Umpire signals pitcher to complete last warm-up pitch. Batter is announced and must leave on-deck circle, batter walk-up music shall begin, and pitcher shall complete last warm-up pitch. Pitcher must begin motion to deliver first pitch. a. The pitcher may take as many warm-up pitches as he desires, but regardless of how many warm-up pitches he has thrown, he must deliver his final warm-up pitch at least 20 seconds prior to the end of an inning break or pitching change. OBR 5:07 will be revised to reflect that pitcher is not guaranteed eight warm-up pitches. b. The umpire shall signal for the last warm-up pitch at 25 seconds, unless a special circumstance (as described below) applies. c. The batter must leave the on-deck circle and proceed directly to the batter’s box when the pitcher throws his final warm-up pitch. d. The pitcher must begin his motion for the first pitch as soon as the batter steps into the box and is alert to the pitcher; provided, however, the pitcher cannot begin his motion for the first pitch more than five seconds prior to the end of an inning break or pitching change so that television is ensured to be back from commercial break. d. Any other special circumstances which, in the umpire’s judgment, warrant allowing the pitcher to throw after the deadline. (3) Start of Timer for Inning Breaks. a. Last Out of Inning. The timer shall start on the last out of an inning for an inning break. b. Close Plays/Replay Review. The Field Timing Coordinator shall delay the start of the timer if the final out of the inning is a close play that may be reviewed by instant replay. If the final out of the inning is determined in instant replay, the timer shall start as soon as the out is signaled by the umpire. c. Pitcher or Catcher On Base/On Deck. If a pitcher ends an inning on base, on deck, or at bat, the timer shall reset when the pitcher leaves the dugout for the mound. If a catcher ends the inning on base, on deck, or at bat, the timer will reset when the catcher enters the dugout (and another catcher must begin warming up the pitcher). (4) Start of Timer for Pitching Changes. a. Pitcher Crosses Warning Track. The pitching change timer shall begin as soon as the relief pitcher crosses the warning track (or foul line for on-field bullpens) to enter the game. In the case of a pitching change that occurs during an inning break, the timer shall reset if previously started as soon as the relief pitcher crosses the warning track (or foul line for on-field bullpens). b. Relief Pitchers Must Promptly Leave Bullpen. 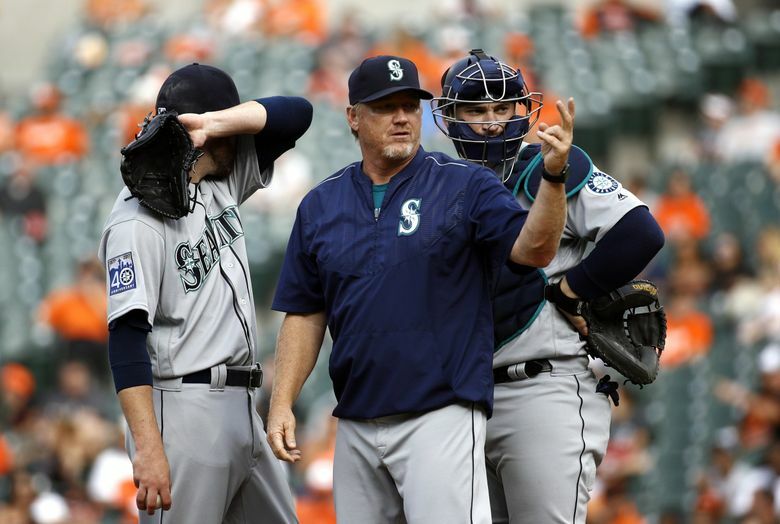 Relief pitchers shall leave the bullpen promptly following an appropriate signal by their manager or coach. During the playing of God Bless America, or any other extended inning event previously approved by the Office of the Commissioner, the timer will begin at the conclusion of the song or event. (5) Enforcement. Umpires shall direct players and enforce the inning break and pitching change time limits on the field. Players who consistently or flagrantly violate the time limits will be subject to progressive discipline for just cause by the Office of the Commissioner pursuant to Article XI(C) of the Basic Agreement. The batter’s box rule that was in effect during the 2017 season will remain in effect during the 2018 season. Install new phone lines connecting the video review rooms and the dugout, and monitor the communications over those lines to prevent their use for sign-stealing.